I have compiled a list of the Top 6 events and great places you've Gotta Go this summer. Within a day's drive, these should definitely be checked out whether as a full-blown vacation, a weekend getaway or day trip. There are long- and short-running exhibits, performances, etc., so take special note of the dates. What: Created by Chinese artists on site, 26 silk and light sculptures that are larger-than-life (literally, they are huge-up to 3-stories tall). My thoughts: By day, fun and pretty; by night, breathtaking and surreal. There are some things that must be seen to be believed and this one is right at the top for that sentiment. This is one of those "You won't see anywhere else" kind of things. My recommendation is to go about an hour before nightfall, see the sculptures by sunlight, then catch the wonder of them by moonlight. Never before seen in the United States, I was fortunate to be invited to St. Louis for the event's grand opening and I absolutely plan to drive the 4 hours to catch it one more time before it disappears. My thoughts: The honor of being selected from a list of 20 cities from around the globe striving to be chosen to host the phenomenal international event is not lost on me. Held every two years in committee-judged locations, Cincinnati is the FIRST ever selected from the United States to host 362 choirs in this international competition. More than 200,00 participants from 48 countries will arrive to compete in front of tens of thousands of attendees. Opening ceremonies, participant village, and special events throughout the host city bring together international and domestic performers all trying for the gold, silver and bronze medals and honor of distinction. 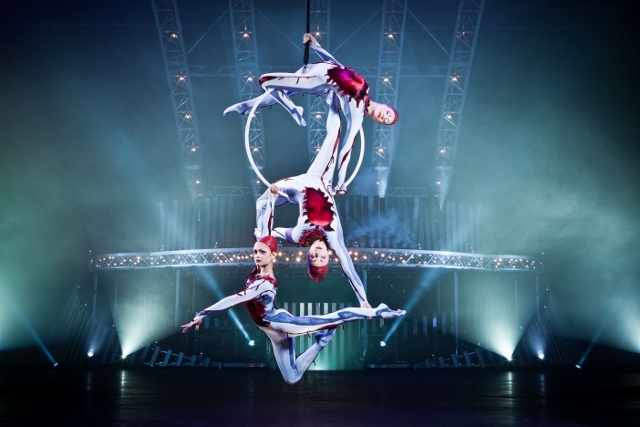 More than 300,000 performances and public appearances, 10 venues and a rare chance to be a part of this high-energy event make it a Do-not-miss event. My thoughts: It only makes sense that the city with the largest German settlement in the United States would hold the largest German festival in the nation. Nearly 100,000 people will frolic for three days along the banks of Lake Michigan, enjoy biergartens and dance in liederhosen. My thoughts: Fudge. 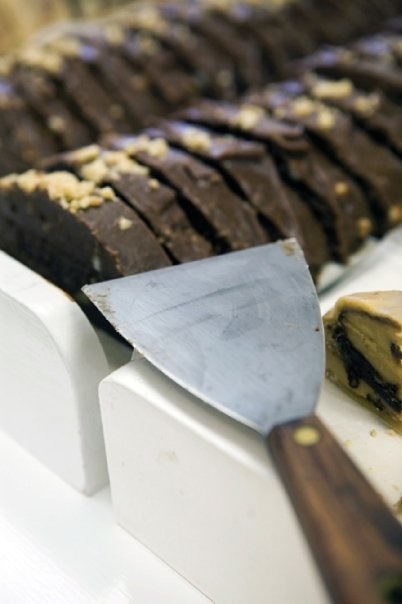 A festival devoted to fudge...kinda proves there is a heaven, doesn't it? Known for the Grand Hotel, horse-drawn carriages and fudge, the island has been a vacation destination since the 19th century. 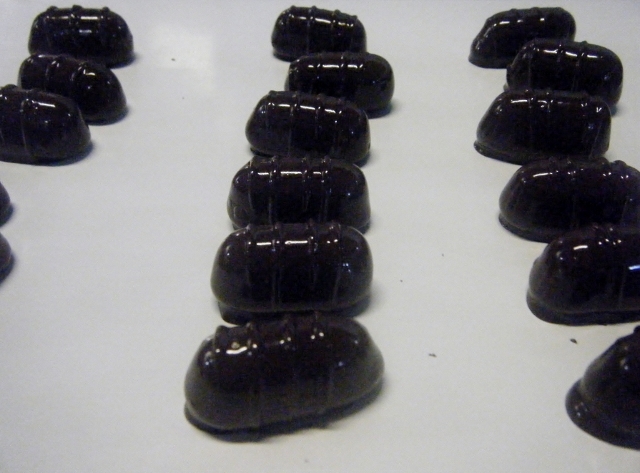 This annual event has activities and demonstrations galore for fudge fanatics known affectionately as "fudgies." My thoughts: Free admission. This annual event welcomes one-day (called "Pop ups") and five-day restaurant participants from the Chicago area. 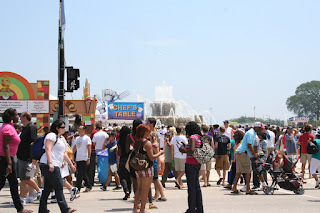 The more laid back, dressed down predecessor to Gourmet Chicago feeds approximately 1 million attendees. Elizabeth J. Musgrave is a syndicated columnist, travel writer, performing arts and restaurant critic. Catch her newest column, Infused at GottaGo.us and FoodandDrinkDigital.com, and as Indy’s Entertainment Adviser on 93 WIBC. Follow her on Twitter @GottaGo, LinkedIn and Facebook. Gotta Go is published on Gottago.us, BroadwayWorld.com, in M magazine and the following newspapers: South Sider Voice, Indiana Weekender, New Palestine Reporter, Pendleton Times Reporter and Fortville-McCordsville Reporter. Indianapolis, IN (June 26, 2012) Klipsch Music Center is nestled on 228 acres of land in Noblesville, located outside of Indianapolis in Hamilton County. The venue has hosted a wide variety of leading popular artists ranging from Frank Sinatra to Coldplay to Metallica to the recent appearance of Elton John and countless others since it opened in 1989. *Shows not yet on sale; but are part of the Modern Trailer Sales Country Megaticket. General public on sales tba. 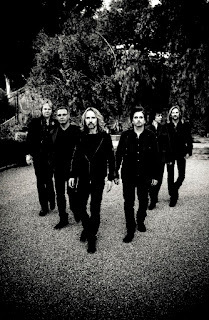 For tickets, directions, and details, visit LiveNation.com. 1. $4.00 12 oz. Domestic Draft Beer. 2. 4-Packs of Concert Tickets. Value pack of 4 tickets for the price of 3 at select shows..
cheeseburger, hot dog or chicken tenders, with fries and a soda for a discounted combination price. include hamburgers, hot dogs, pizza, chicken tenders, corn dogs and more. Elizabeth J. Musgrave is a syndicated columnist, travel writer, freelance feature writer, and an Indianapolis performing arts and restaurant critic. Catch her newest column, Infused at www.GottaGo.us and www.FoodandDrinkDigital.com and as Indy’s Entertainment Adviser on 93 WIBC. Gotta Go is published on www.Gottago.us, www.BroadwayWorld.com, in M magazine and these newspapers: South Sider Voice, Indiana Weekender, New Palestine Reporter, Pendleton Times Reporter and Fortville-McCordsville Reporter. Connect on Twitter @GottaGo, LinkedIn and Facebook. You could go to years of specialized, intensive schooling and become a wine expert to learn how to pair wine with your meals. Or.... you could just let a Master Sommelier such as George Miliotes (No. 152 of only 190 in the world) do it for you. The fact he is from Indiana's own Depauw University is another plus. Seasons 52 unveiled its Summer 2012 wine-paired menu at a private tasting event where, once again, Master Sommelier Miliotes and Senior Culinary Director Chef Cliff Pleau paired up to, well, pair up food and wine. Naturally, you will be able to choose whatever vino you prefer, these are simply their expert recommendations. Having been invited to the prior-to-opening event (read review here) I was suitably impressed to return for S52's spring unveiling (read review here) and last night's event. 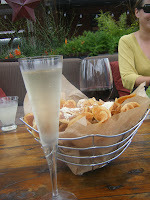 The Darden restaurant has continued to impress me with its menu, wine list and service. The entire concept is serve top top quality, local foods, be environmentally conscious (as with the new "green" water bottle made from Earth-friendly corn), and serve excellent wine. How can anyone hate that idea? Note: This wine is crisp and refreshing, perfect with the goat cheese flatbread. 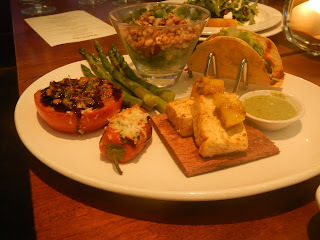 If you feel flatbreads have run their course, there are other apps on the menu such as organic edamame, crab, chrimp stuffed mushrooms and spicy chicken chili relleno. Note: Definitely the Gruner coupled with the seafood. This is one of those, I-could-make-a-meal-with-just-these type of menu items. Seriously. They were light, yet filling; crispy, yet soft. 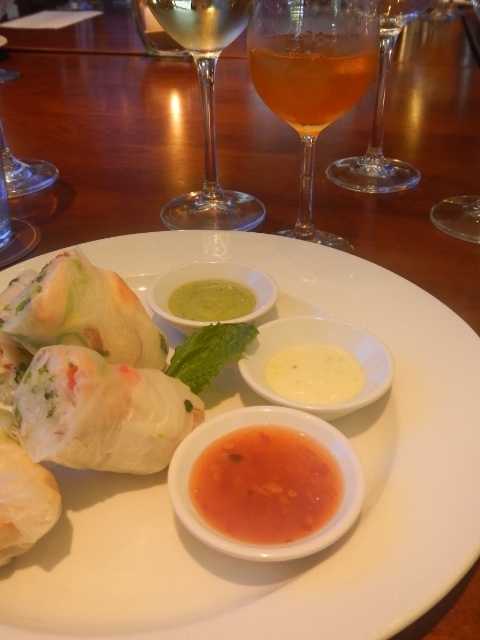 I can picture nibbling on these while dining this summer. Note: This was my favorite white wine served matching the watermelon as easily as the tofu with mango. I am not a vegetarian by any means. I love red meat. But, this menu selection could convince me to cut way, way back on meat and become a pseudo-vegetarian. Be sure to eat a bite of goat cheese with the beets or watermelon for full effect of flavor. Note: This red wine encompassed almost all of my needs in a wine ~ smoky, woodsy ~ the mushrooms and beef loved it as much as I did. Piedmontese will be the steak to request for anyone seeking a low-fat, yet still tender steak. 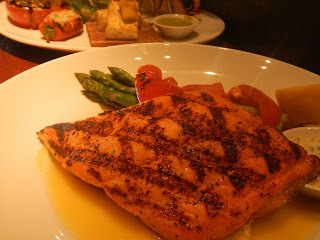 The salmon (difficult to come by due to seasonal restrictions) with a dab of dill and red pepper was paired with the Chehalem and was soothed by the lemongrass notes of this Chardonnay. Mini-indulgence desserts-mocha macchiato, blueberry cheesecake, raspberry & chocolate chip cannoli, pecan pie with vanilla mousse, Belgian chocolate Rocky Road, Key lime pie, chocolate peanut butter mousse, Meyer lemon, fresh fruit. Note: Moscato is definitely a wine to go with for desserts if you are not certain which to choose ~ you can't go wrong with it for cheesecake or mousse. 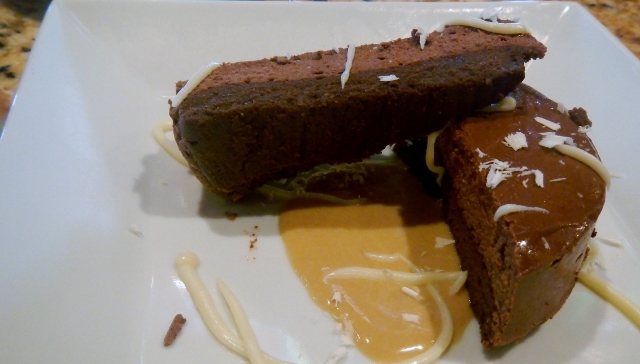 Desserts also change with the season. 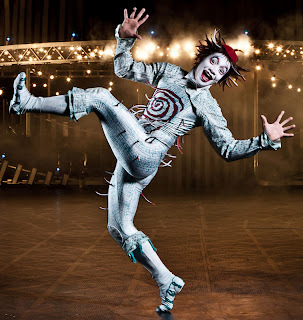 Indianapolis, June 18, 2012 – In anticipation of the upcoming performance of Cirque du Soleil’s Quidam, a one-of-kind tour bus will visit Indianapolis from June 20 - 24. Quidam will perform from June 27 – July 1 at Bankers Life Filedhouse. 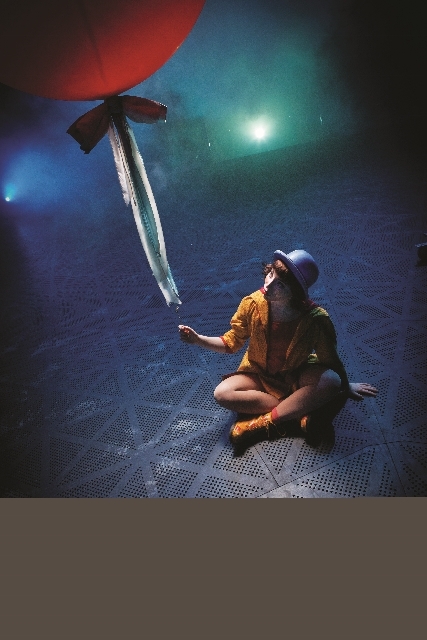 Tickets are available at CirqueduSoleil.com/Quidam or 1-800-745-3000. Check back with GottaGo.us for a full review of Quidam. Quidam relates the story of a young girl who feels ignored by her parents. To escape her reality, she slides into an imaginary world where she meets characters who help her discover her true self. 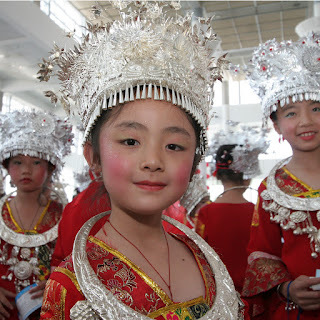 Summer time brings many enjoyable activities: swimming, picnics and family reunions. One of the main factors of pleasure at the relative catch-up is the food. Whether Grandma’s traditional dish, the newlywed’s epicurean attempts or Uncle Joe’s trusty barbecue, it is worth the drive to taste everyone’s culinary wizardry. What if you could find a city that so closely resembles that same abundance of palate-pleasers that it would be worth the time to visit? And, just as with a summer time’s ever growing, extended family reunion, all the relatives have shown up with their dishes of pride in this bordering-Lake Michigan town. A virtual smorgasbord of epicurean delights is tucked away in every corner of this revitalized family-reunion of a town. Without losing the family tree’s historical significance, Milwaukee embraces its younger, more energetic generation’s offerings. Your mother’s Italian great uncle, Peter Sciortino’s Bakery, is there with delicious pastries, including cannoli, over on Brady Street. 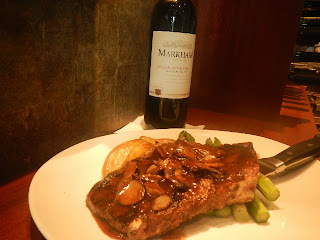 A distant cousin’s French husband, Bartolotta’s Lake Park Bistro, shows off his European flair with Terrine de Canard Truffee, Cote d'Agneau Grillees and well-appointed wine from his upscale, picturesque restaurant. Usinger’s, the sweet-tempered aunt, brings her famous summer sausage and bratwurst still made in Uncle Fred’s original Old World style from charming Old World Third Street. Also representing the German side of the family at this reunion is everyone’s favorite great uncle, Mader’s, who always brings a stein of beer and traditional Rheinischer Sauerbraten. Not to be out done, and always wanting to bring wonderful aromas to the table, is the family’s eccentric cousin, The Spice House, located in historic Third Ward District with its fresh and exotic spices. Never much of a cook, that uber-cool brother-in-law, Great Lakes Distillery, Wisconsin’s first distillery since Prohibition, brings along adult beverages for the over-21 relatives, including Rehorst honey-flavored vodka. Of course at every reunion, is that well-traveled clan, Milwaukee Public Market, who always brings a surprise culinary treat. And, naturally, big sister, Milwaukee Food Tours, who always knows exactly where to go and what to try, is there giving locals and visitors alike the chance to nibble and sip their way around the buffet of gastro fare. Little brother and hip Harley rider, Iron Horse Hotel, shares smart cocktails and upscale nibblers from his outdoor lounge, The Yard. Visiting Milwaukee is like walking along the pot luck family reunion food table. Whatever you can dream up, it is there. Midwest comfort food, Old World style, fine French cuisine and the latest contemporary dining options are ready to impress everyone and definitely worth the drive. Bottom Line: With all its culinary options, you can skip the family reunion this year and, instead, head to Milwaukee. Heck, they practically dare you. VIP tickets, allowing 1,000 people an 11 a.m. entry to the event and a more casual opportunity to talk with chefs, vintners, brewers and all participants, are available for Dig IN 2012. Sun., Aug. 26, noon-5 p.m. Dig IN, A Taste of Indiana, will again showcase Indiana’s top chefs, growers, producers, brewers, vintners, and value-added food producers at the third annual event, Aug. 26 at White River State Park. As part of the ticket price, visitors receive two-ounce tastes of unique dishes made with farm-fresh Indiana produce and proteins. More than 30 of the state’s greatest food minds will prepare the tastes on site while discussing their recipes and the all-Hoosier ingredients with visitors. Sun-ripened Indiana tomatoes, basil, Greenville's Capriole goat cheese; bison, yellow perch and duck raised on Indiana farms; and blueberries, jalapenos and sweet corn grown in Hoosier soil are just a few ingredients used form Indiana. The Indiana Wine Grape Council and Brewers of Indiana Guild will provide wine and beer tastings, and local soft drinks and water will be served as well. Local bands, urban gardening exhibits, educational discussion panels, local expert Q&A sessions will round out the day. Elizabeth J. Musgrave is a syndicated columnist, travel writer, performing arts and restaurant critic. Catch her new column, Infused, at FoodandDrinkDigital.com and GottaGo.us, as Indy’s Entertainment Adviser on 93 WIBC, and follow her on Twitter @GottaG, LinkedIn and Facebook. Gotta Go is published on BroadwayWorld.com, Gottago.us, and in M magazine and the following newspapers: South Sider Voice, Indiana Weekender, New Palestine Reporter, Pendleton Times Reporter and Fortville-McCordsville Reporter. 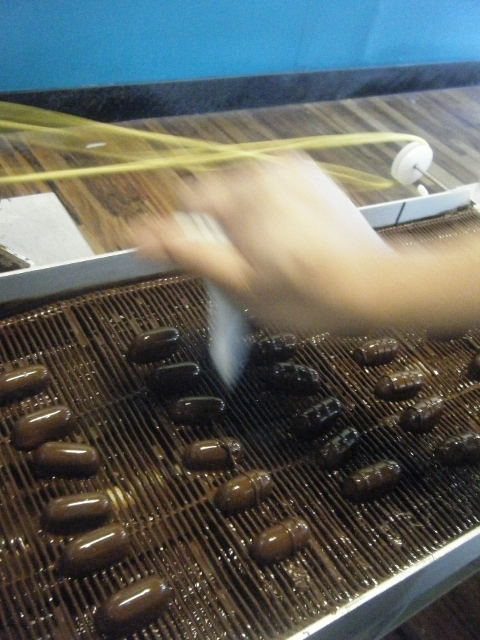 Fredericksburg, TX's Chocolat adds a spirited twist to the traditional art of Swiss chocolate. In INFUSED, a weekly column, Elizabeth J. Musgrave connects spirits, wine, and beer with culinary and creative arts. When looking for a perfect dessert, we often turn toward chocolate or an after-dinner drink, creating the unpleasant decision of which to choose. It’s a decision that proves difficult for even the most strong-willed person. But for almost thirty years, Lecia Duke has made life easier by combining the two options into a selection of unique, one-bite nuggets. Duke’s shop, Chocolat sits snugly deep in the heart of Texas, located in the charming town of Fredericksburg within the Lone Star state’s Hill Country region. 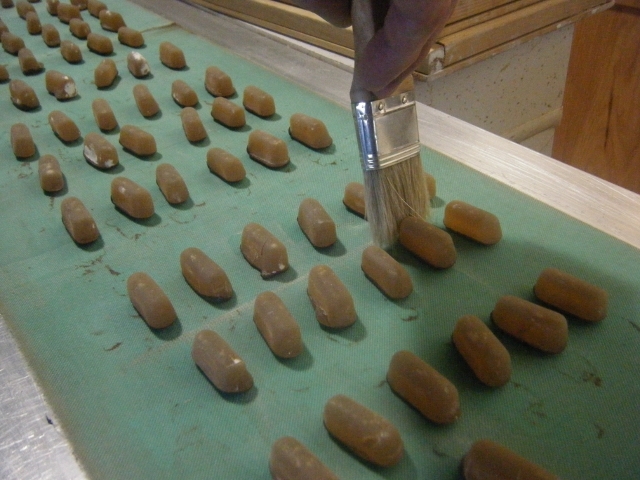 Duke blurs the line between spirits and candy through a 200-year-old method learned while apprenticing with a Swiss chocolatier. 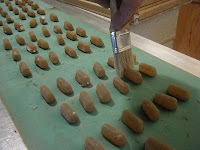 Originally an architect-turned graphic designer, the chocolate master creates a crystallized sugar nest to encapsulate the liquor, wine or liqueur in a process known as liqueur praline. She then covers the fragile globe with the finest chocolate available: bourbon, Irish Cream and spiced rum are just a few of the choices among the over-21 liquids to get the Willy Wonka treatment. According to the award-winning chocolate maker, beer and Champagne are the only liquids unable to withstand the process for the Spirited Chocolates line of confections. After nearly two dozen tastes, my favorite is a toss-up between Amaretto and Sam Houston Straight Kentucky Bourbon, although the red wine is rather tasty as well. The signature piece, Tequila D’Almendrado, is the only liqueur praline to progress through three individual flavors: almond, tequila and finishing with chocolate. For more information on chocolates, tours and flavors, visit Chocolat-Tx.us. Elizabeth J. Musgrave is a syndicated columnist, travel writer, performing arts and restaurant critic. Catch her column, Infused, at FoodandDrinkDigital.com, as Indy’s Entertainment Adviser on 93 WIBC, and follow her on Twitter @GottaGo, LinkedIn, and Facebook. Gotta Go is published on BroadwayWorld.com, GottaGo.us and in M magazine and the following newspapers: South Sider Voice, Indiana Weekender, New Palestine Reporter, Pendleton Times Reporter and Fortville-McCordsville Reporter. When: Wednesday, December 5 · 7:30 p.m.
Candy canes, carols, and the Cake Boss! Celebrate the holidays this season with America’s favorite baker, Buddy Valastro, at the Murat Theatre at Old National Centre in Indianapolis, Indiana on Wednesday, December 5 at 7:30 p.m. Tickets go on-sale this Friday, June 15 at 10:00 a.m. at livenation.com, by phone at 800-745-3000, or at the Old National Centre box office. Reserved tickets are $47.50, $37.50 and $24.75 plus applicable service charges. A limited number of VIP tickets are available for $85.00 which includes a post-show meet and greet, Cake Boss tour laminate, and special holiday surprise. Buddy Valastro, star of TLC’s “Cake Boss,” brings a special live holiday show the entire family will enjoy. Sharing the holiday traditions and stories from his family at Carlo’s Bakery, Buddy presents an all-new show full of holiday spirit and jingle bell rock. Demonstrating the techniques that have made him the most famous cake artist in the country, Buddy will share behind-the-scenes stories from his hit TV show, answer audience questions, and will bring several lucky members of the audience up on stage for cupcake and cake decorating. One of the centerpiece shows of the TLC network, a 5th season of “Cake Boss” began airing on Memorial Day. Viewers continue to celebrate the mouthwatering desserts and not-to-be-missed Valastro family moments occurring in bustling Hoboken, NJ, home of Carlo’s Bakery, which celebrates its 102nd anniversary this summer. In addition, Buddy’s second TV series on TLC “Next Great Baker” launches a new season on November 26th. In late 2011, Buddy’s released his second book with Simon & Schuster. In “Baking with the Cake Boss: 100 of Buddy’s Best Recipes and Decorating Secrets,” Buddy shares everything a home cook needs to know about baking as he takes readers through the same progressive training he had in his apprenticeship at Carlo’s Bakery. A new book is set for release in November 2012 (details forthcoming). The Homemade for the Holidays Tour is produced by Mills Entertainment based in Saratoga Springs, NY. 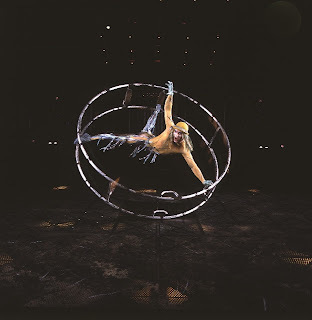 An industry leader in alternative and branded live entertainment, Mills produces, promotes and manages shows throughout the United States, Canada and abroad. For more information, visit millsentertainment.com. Where can you go with a hankering for a nice pint, views of two professional ball stadiums and food infused with various spirits, wine and beer? Only one place. In fact, you will need to trek to the nation’s Midwest region for such a high-maintenance request. 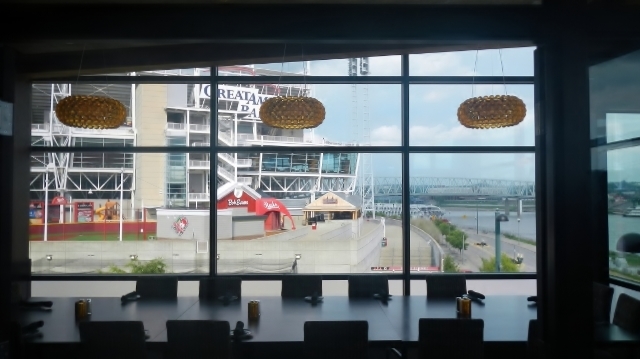 Upscale Christian Moerlein Lager House, recently opened, offers a gourmet gastropub menu, gleaming taps and every sports fan’s dream – an up close and personal view of the home for the Cincinnati Bengals and the home of the Cincinnati Reds. Seriously, who thinks of things like this? 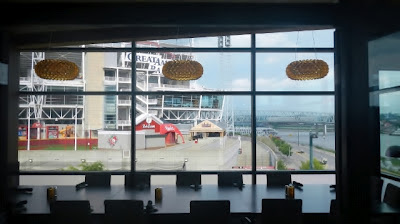 Two stories high with seating for nearly 750 of your closest friends, a beer garden, wraparound outdoor seating, and, oh, just for fun -- live music in the park in which it resides, sitting majestically overlooking the Ohio River, paddle and steam boats cruising along for colorful scenery (in case the stadiums aren’t enough). Although it would have been so simple for proprietor Greg Hardman to have gone over-the-top with the décor and atmosphere, he has instead, somehow created a blended ambiance of familiar congeniality and understated elegance. As friendly as a neighborhood pub, Moerlein’s pulls off its regal pose while keeping a mindful eye on the original brewing district of German settlers known as Over-the-Rhine. Gone are the days of underground tunnels keeping barrels cool, giving way to the microbrewery setup Hardman has situated directly to the left of the grand entrance. 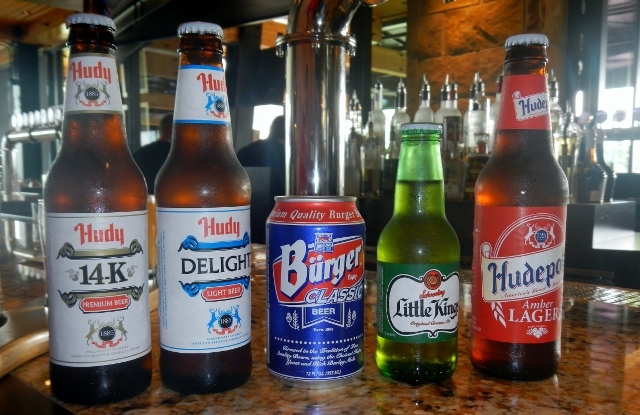 Acquiring the entire Hudepohi-Schoenling Brewing Co. of Cincinnati's line of brands, Hardman is now the proud, yet somehow modest, owner of Christian Moerlein, Little Kings Cream Ale, Hudepohl Amber Lager, Hudy Delight and Burger. Beyond the numerous, seasonally changing, tap offerings, the 28,000 square foot lager house has a menu to drool over. 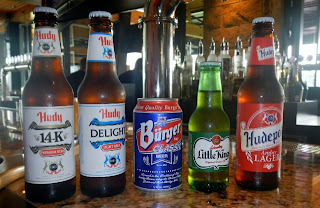 Rivaling the finest restaurants and surpassing the standard pub’s level of epicurean delights, Chef Carl Chambers, executive chef, has created a menu infused with beer, spirits and wine for every palate. Barbecue sauce with dark lager, smoked malt marinades, prime rib with Barbarossa demi and horseradish cream, mussels with white wine … oh, so many choices. The list is extensive without ever losing its original focus. No matter what else happens upon being seated, order immediately from the meat & cheese boards menu for the taste bud teaser you’ll enjoy indicative of the pure delight your foodie palate is in for within this noblest of all craft beer establishments. 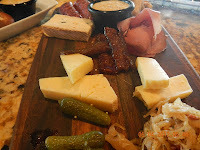 It is a “choose two or three of each” style selection, including smoked salmon, Prosciutto, candied pork belly, King Ludwig beer cheese, and Cambozola to name a few options. 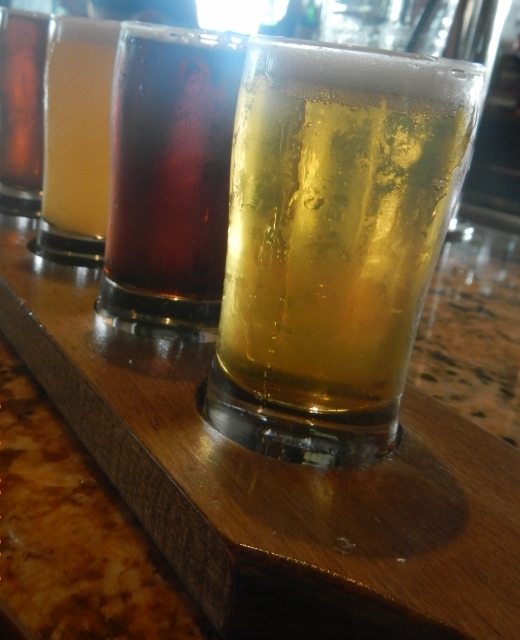 Beer flights: Get them, enjoy them and then decide which is your favorite beer for a full serving. Desserts: Here is where it starts to hurt. 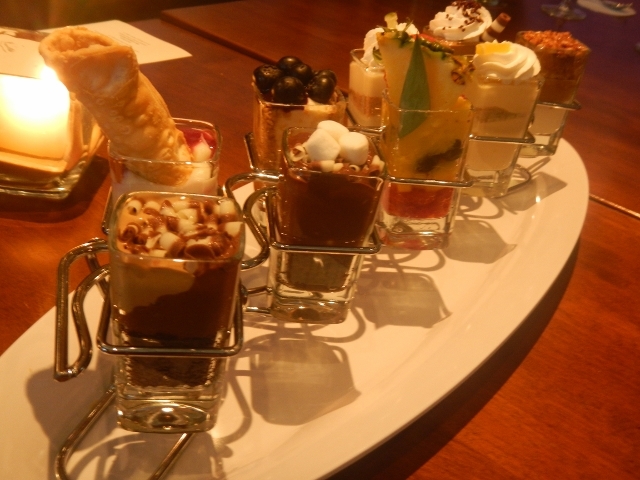 You absolutely must save room (trust me it will be extremely difficult) for the desserts at this Cincy jewel. Some options include, Black Cherry Forest Cake with Kirschwasser cherry compote and chocolate ganache, Apple Almond Bread Pudding with toffee-crusted vanilla ice cream, brown sugar almonds and white chocolate sauce, Orange Panna Cotta with Grand Marnier candied oranges ... see what I mean? Bottom Line: Greg Hardman’s Christian Moerlein Lager House brings the world’s attention to Cincinnati’s brewing heritage, sets the future standard for all craft beer establishments and puts ‘Cincinnati’ on the lips of every worthwhile beer drinker, brewer and expert. Reservations: Highly recommended due to baseball and football home games, concerts, etc. Hours: Mon – Thurs: 11a.m. – Midnight; Fri & Sat: 11a.m. – 1a.m. ; Sun: 11a.m. – 11p.m. Elizabeth J. Musgrave is a syndicated fine-living columnist, travel writer, and restaurant and performing arts critic. Find her new column, Infused at FoodandDrinkDigital.com, catch her as Indy’s Entertainment Adviser on 93 WIBC, and follow her on Twitter @GottaGo, LinkedIn and Facebook. Gotta Go is published on BroadwayWorld.com, GottaGo.us and in M magazine and the following newspapers: South Sider Voice, Indiana Weekender, New Palestine Reporter, Pendleton Times Reporter and Fortville-McCordsville Reporter. (Anderson, Ind) Thousands of visitors from throughout the Midwest are expected to visit Hoosier Park Racing & Casino for a lineup of six top music acts in the Coors Light Summer Music Track II concert series. 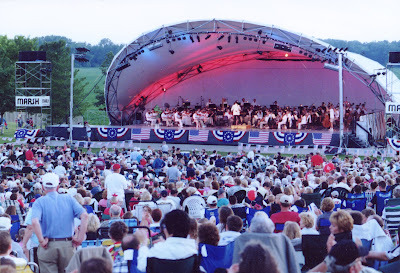 All concerts will be held in the outdoor music center with the series running through Sun., Sept. 2. 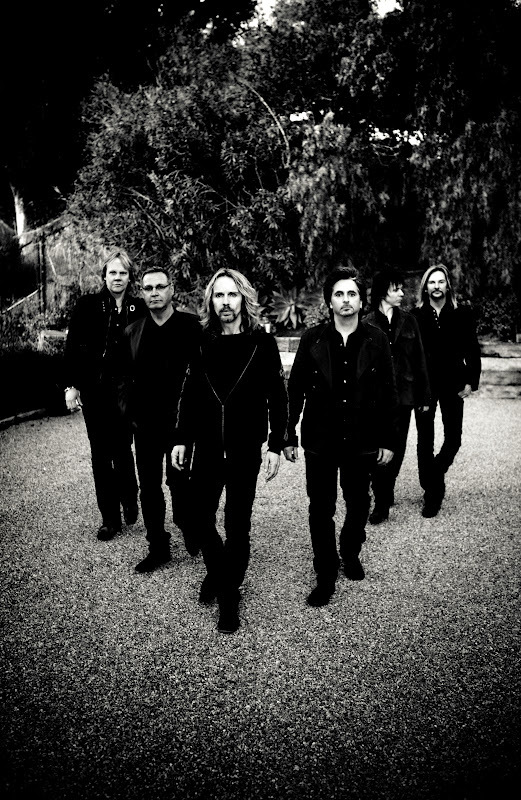 If you are looking for the 2013 Summer Concert Lineup, click here. Country Throwdown Tour Sunday, June 3. 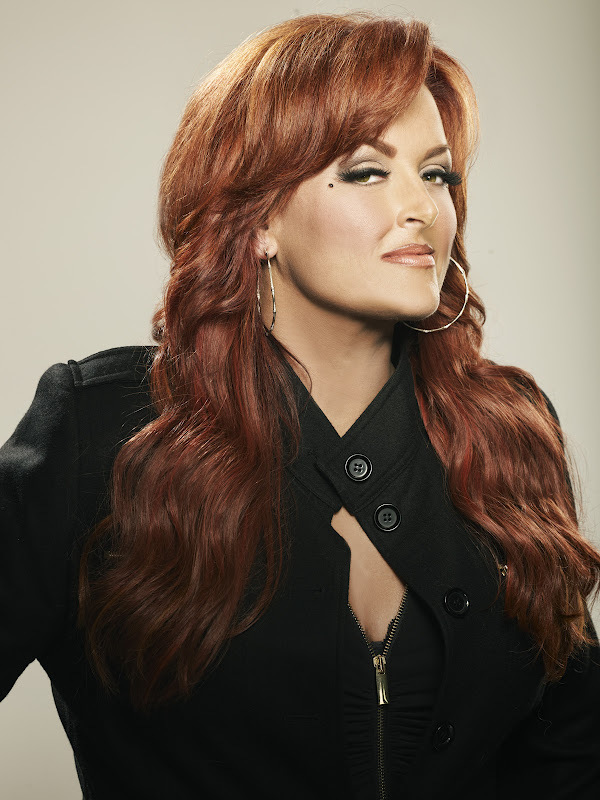 Five-time Grammy winner, Wynonna Judd, will perform Saturday, July 7 with progressive rockers, Styx, taking the stage Saturday, Aug. 4. Kool & the Gang, with the Commodores, will bring their blend of funk and soul to the series Friday, Aug. 11. The 2012 Coors Light Summer Music Track II concert series will culminate on Sept. 2 with one last special performance. 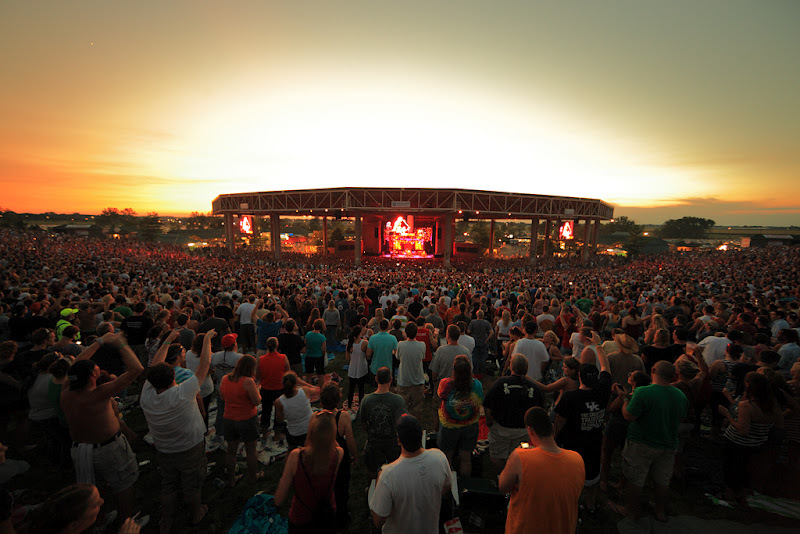 All concerts will take place in the Hoosier Park outdoor music center, which accommodates up to 5,500 reserved ticket seats. The music center features a wide variety of ticket options, including premium VIP seating and a private party deck complete with personal beverage service and a private music center entrance. All concerts are scheduled to begin at approximately 7:30 p.m.
Elizabeth J. Musgrave is a syndicated columnist, travel writer, performing arts and restaurant critic. Catch her new column, Infused at FoodandDrinkDigital.com, and as Indy’s Entertainment Adviser on 93 WIBC, or follow her on Twitter @GottaGo, LinkedIn and Facebook. Gotta Go is published on GottaGo.us, BroadwayWorld.com and in M magazine and the following newspapers: South Sider Voice, Indiana Weekender, New Palestine Reporter, Pendleton Times Reporter and Fortville-McCordsville Reporter. 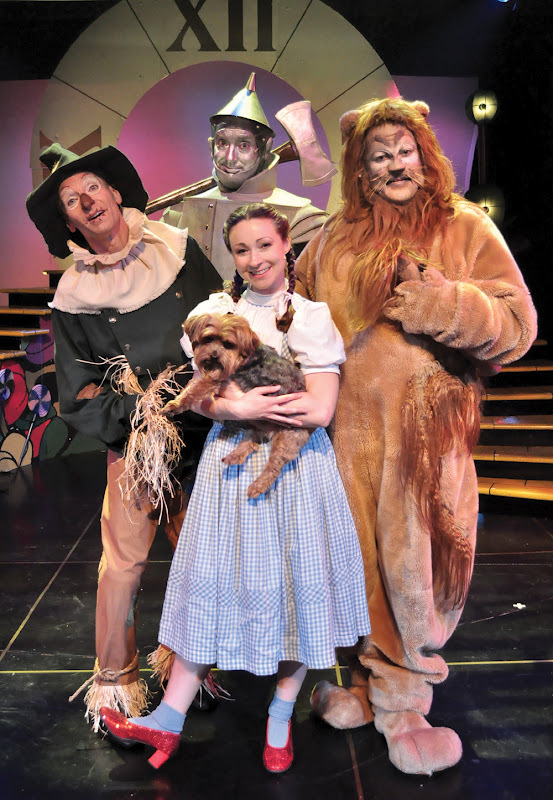 Beef and Boards Dinner Theatre, Indianapolis, brings out classic The Wizard of Oz for its beginning summer fare, playing through July 15. Based on the series of books by L. Frank Baum, the story of a little Kansas farm girl transported to a colorful place, one that is "(Somewhere) Over the Rainbow." The tale was made famous by the 1939 MGM film starring Judy Garland, Ray Bolger, Burt Lahr, Margaret Hamilton and Frank Morgan. If the show seems to run a little long, it could be the inclusion of the fun "The Jitterbug" dance scene cut from the award-winning movie version. Two performers step into the Gotta Go Spotlight by standing out with the energy and enthusiasm brought to their roles. Curry, whose version of Professor Marvel was a little quiet and sedate, delighted the audience with his animated style as the Wizard. Portraying the phony wizard with just the right amount of vulnerability and sweetness, Curry creates a very likable character. 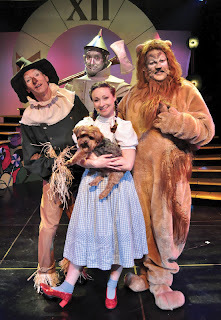 Elliott practically roars upon the stage with his over-the-top Cowardly Lion role. Solos "If I Only Had the Nerve" and "King of the Forest" are easily the best vocal performances of the evening showcasing Elliott's powerful singing ability. A treat for those who are just now learning of his talent for the first time, fans and critics alike who believe one can never get enough of Elliot's multi facted range. Whether in Oklahoma, Smoke on the Mountain series or Always...Patsy Cline, he consistently turns in top notch performances. Elliott's unbridled enthusiasm set the standard in Oz which the others, surprisingly, didn't match until the second act. I will say there is a confused disappointment for me with Stockberger and King. Both are well known for their talent which leaves this critic scratching her head as to their laid back performances in the first half of the program. The lack of enthusiasm is perplexing. 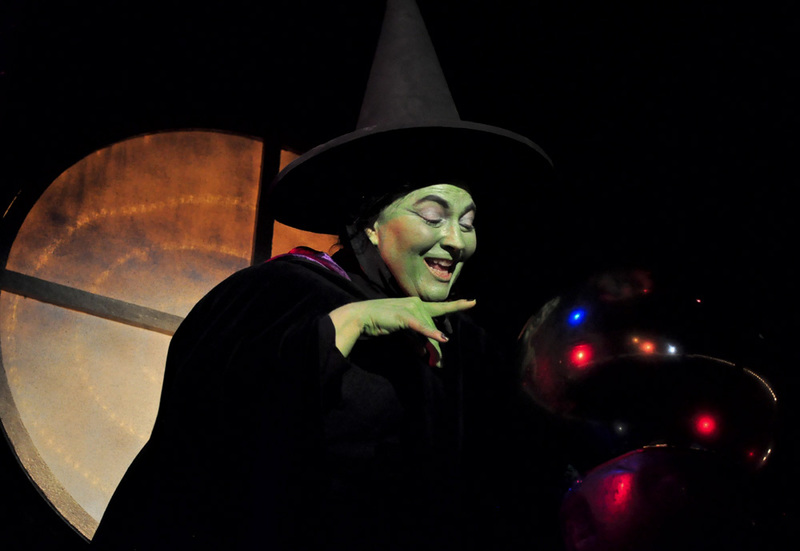 It certainly isn't as if we are not all aware of the fabulous ability each has on the stage. Particularly with Stockberger whose dramatic and zany sides are both much loved by audiences; who is able to say so much with just a glance or twitch - the expectation was high. A man made out of tin whose moves are limited should be custom made for Stockberger. Fortunately the energy level was somewhat recovered in the second half. I would certainly enjoy knowing that all retrieved all of their normal zest for the remainder of the scheduled performances. * Special Note & Spoiler Alert * There are several situations occurring throughout the performance which inspires me to mention the best seats for this show are those nearest the aisles. In particular, seats: R34-35; R44-40; L35/45; and along the aisle of L10/20/30 and A9/19. 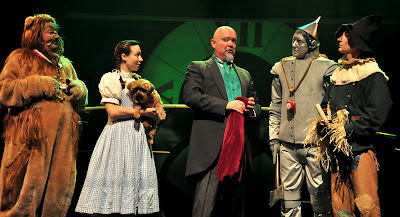 Bottom Line: Jayson Elliott is absolute perfection and thoroughly delightful as the Cowardly Lion making Beef and Boards' The Wizard of Oz a must-see. For tickets, directions, and schedule, click on BeefandBoards.com. Elizabeth J. Musgrave is a syndicated columnist, travel writer, performing arts and restaurant critic. Catch her as Indy’s Entertainment Adviser on 93 WIBC, and follow her on Twitter @GottaGo and Facebook. Infused is published on FoodandDrinkDigital.com. Gotta Go is published on GottaGo.us, BroadwayWorld.com, in M magazine and the following newspapers: South Sider Voice, Indiana Weekender, New Palestine Reporter, Pendleton Times Reporter and Fortville-McCordsville Reporter. 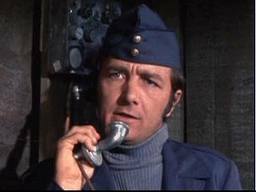 Richard Dawson (nee Colin Lionel Emm), born Nov. 20, 1932, died June 2, 2012 from esophageal cancer. The British-born actor became a United States citizen in 1984. Dawson was a cast member of the unexpected hit series, Hogan's Heroes, (1965-71), portraying Cpl. Peter Newkirk. The sitcom revolved around a WWII prisoner camp. 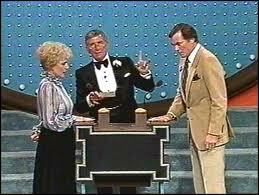 Known perhaps best for hosting the popular game show, Family Feud, (1976-89), Dawson was also a regular guest on the '70s popular game show, Match Game 73 (1973-82). Dawson is survived by his wife, Gretchen, their daughter Shannon, two sons, Mark and Gary, from his first marriage to British film star Diana Dors, and four grandchildren. Elizabeth J. Musgrave is a syndicated columnist, travel writer, performing arts and restaurant critic. Catch her as Indy’s Entertainment Adviser on 93 WIBC, and follow her on Twitter @GottaGo and Facebook. Infused is published at FoodandDrinkDigital.com. Gotta Go is published on BroadwayWorld.com, in M magazine and the following newspapers: South Sider Voice, Indiana Weekender, New Palestine Reporter, Pendleton Times Reporter and Fortville-McCordsville Reporter.